DBA have experience of the design process and detailing involved in the diversion of burns and natural watercourses in line with the requirements of Statutory Bodies such as Scottish Natural Heritage (SNH); Scottish Wildlife Trust (SWT); SEPA and various Local Authorities. We have been successfully involved in the delivery of practical solutions to preserve the integrity of local natural features whilst allowing maximum development of sites. To achieve this DBA carried out all necessary hydrological and strategic drainage assessments, leading to the detailed design of innovative surface water management solutions. 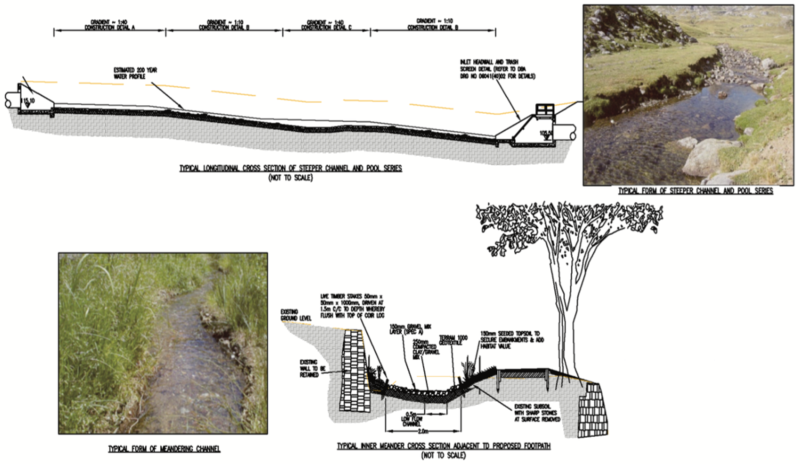 The final surface water management solutions were designed in consultation with the relevant authorities eliminating the need for hard engineering between the SUDS and Local Nature Reserve to create new habitat and enhanced biodiversity. In support of the design and construc on process, DBA also have experience in the preparation of applications for licensing of operations associated with the The Water Environment (Controlled Activities) (Scotland) Regulations 2005 (CAR) .